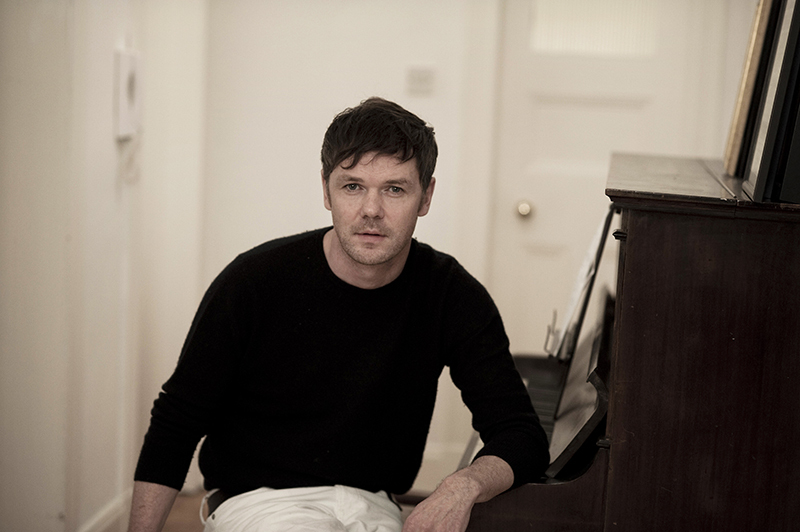 Following the release of his latest studio album ‘The Deluder’, Roddy Woomble is heading out on an intimate tour of the UK, supported by Teeside-based singer songwriter Tom Joshua. Performing alongside Idlewild bandmate Andrew Mitchell, Roddy will be playing tracks from his latest album ‘The Deluder’ and previous solo records, as well as some Idlewild favourites. “I’m really looking forward to returning to some of our favourite small venues on this tour, while also visiting a handful of places we haven’t been to yet.” said Roddy. To coincide with the tour, Roddy has released new single ‘First Love Never Returned’, taken from his latest album ‘The Deluder’, and featuring guest vocals from long-standing contributor Hannah Fisher. Teeside-based Tom Joshua will join Roddy on a number of dates. Having released his debut single ‘Meteor Showers’ in 2017, the track has amassed over 1million streams on Spotify, and has been championed by the likes of BBC Radio 2’s Jo Wiley and BBC 6 Music’s Tom Robinson. He has also shared stages with acts including Billie Marten, Brooke Bentham and Bill Ryder-Jones. Up in the Hebrides, with winter approaching Roddy decided to start with another sort of record, what would turn into his most personal, introspective album of songs. Working mainly with Andrew Mitchell (Guitar and Bass) Danny Grant (Drums, Programming) and Luciano Rossi (Piano, Keyboards, Bass) over the winter of 2016/17 in Edinburgh, London and the Isle of Mull he recorded and mixed the album ‘The Deluder’. The record was produced and performed by the four of them, with contributions with other long standing collaborators Hannah Fisher (Violin & Vocals) and Sorren Maclean (Guitar). Roddy doesn’t do themes, he collects songs together and records them over a period of time, and a loose narrative starts to develop between them. It’s a mix of listening, reading, think travelling and writing that combines into something slightly new each time, on every record. That said, during the course of writing and recording ‘The Deluder’ Roddy turned 40 and the emphasis we place on age, particularly moving from one decade into another was not lost on him this time around, “The significance is either there or not, it depends on your circumstance and how much time, thought, and angst you care to put into it” said Roddy. As frontman of Scottish indie rock band Idlewild, Roddy has notched up eight acclaimed albums and three compilations, two of which charted in the UK top ten. They have released twelve UK top forty singles and have toured throughout the world, as a headline act, and also as support to REM, U2, Pearl Jam and the Rolling Stones amongst others.